New Westminster’s Hyack Swim Club took the overall team scoring title at the 2019 Winter Provincial Championships, held in Kamloops on March 7-10. Hyack took the lead pretty much right from the start of the meet, putting up some strong results in Thursday’s distance events, and eventually stretching out their lead to win the meet with 1107.5 points, with a margin of just over 250 points over second place. 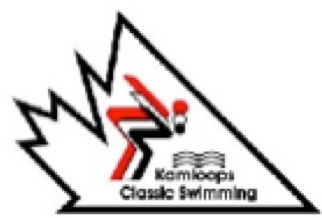 And it turned into quite a battle for second place, as Kelowna Westside came from back in fifth place (albeit in a tightly bunched field of four teams) after Saturday, to just barely surpass Island Swimming Club 851 to 848.5 points. Langley Olympians finished fourth with 789.5, while Spartan Swim Club held on for fifth place - one of their best-ever finishes at Provincial Championships - with 686.5 points. In individual scoring, with swimmers limited to eight individual entries, that shaped up into a close contest as well. Ashley McMillan (KISU) took top spot there with 154 points, while Octavia Lau (HYACK), Adam Wu (SKSC), and Bailey Herbert (LOSC) were separated by a total of just three points: 149, 147, and 146, respectively. Arianna Hunsicker (SKSC) completed the top five there with 137 points.